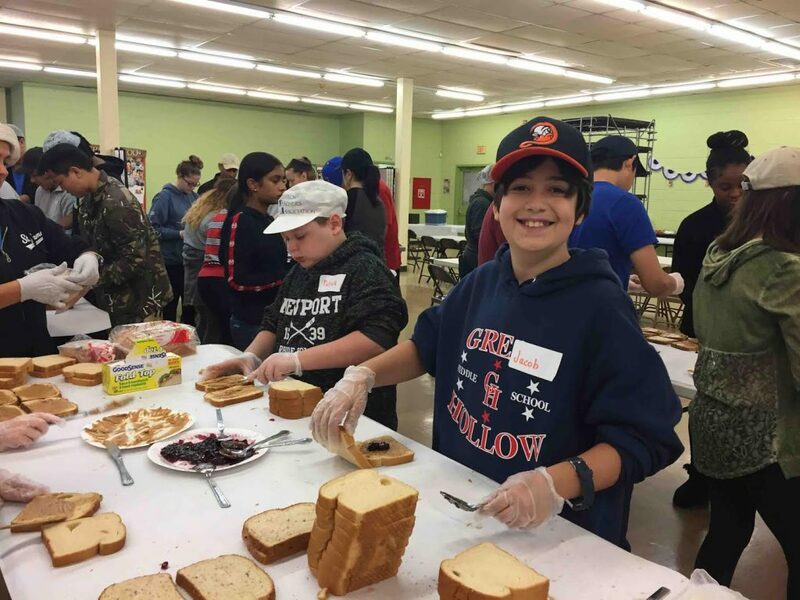 Photo caption: On Oct. 28, students from Great Hollow Middle School and Dogwood Elementary School in the Smithtown Central School District joined forces to help fight hunger. Members of the schools’ Peanut Butter Gang community service clubs visited Hospitality Too soup kitchen in Brentwood. 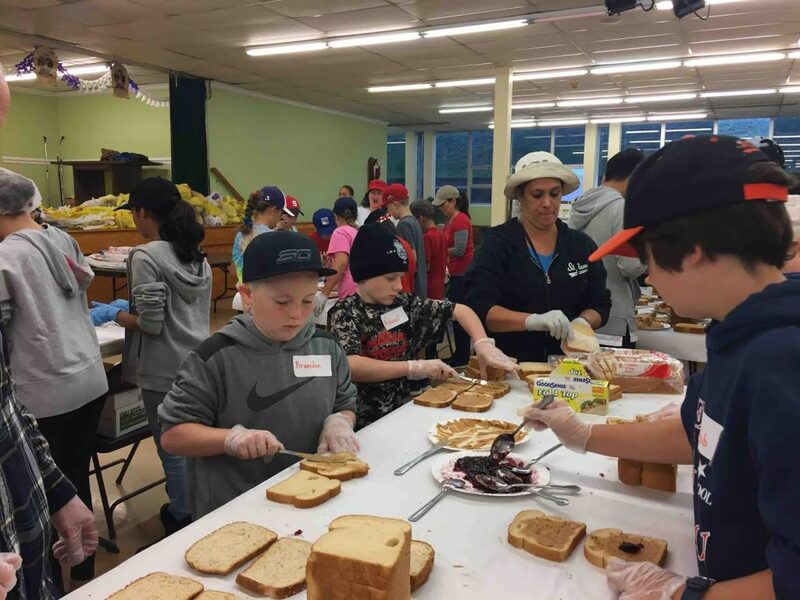 They made peanut butter sandwiches that will be distributed at various locations on Long Island and in New York City, and also helped serve a hot lunch to soup kitchen guests. 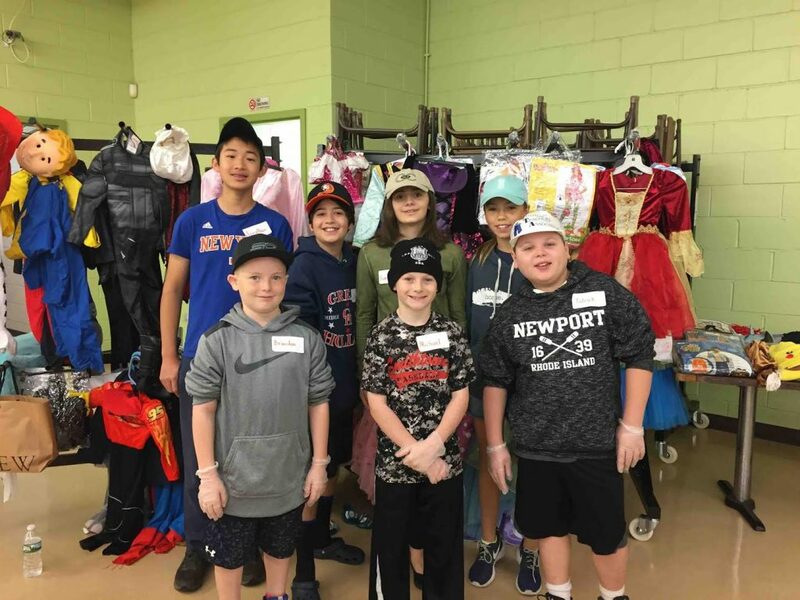 In addition, students distributed Halloween costumes collected at drives in both buildings.